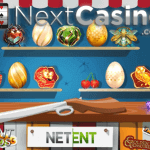 Looking for an eggciting game at one of the Netent Casinos, I highly recommend EggOMatic, one of the Netent video slots showing what online gaming is all about these days. 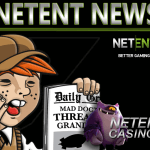 Old fashioned classic video slots are still popular, but the high quality Premium slots designed by Net Entertainment will steel your heart and EggOMatic is definitely one of them. This cutting edge video slot is giving you the best slot eggsperience you can imagine. Taking you inside a high tech robot egg factory where production is down and a solution must be found. 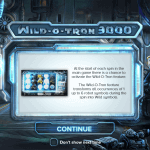 Luckily the crazy Rooster comes by, the inventor of the EggOmatic machine, bringing together a brood of robotic chickens that produce golden eggs by the dozens while you eggsperience a brand new feature, Wilds, Free Spins and bonus wins. The rooster did a good job inventing a high tech and eggcelent factory with a production line of different egg types. Although a small problem pops-up during the presentation of the EggOMatic machine, because it doesn’t want to cooperate, leading to a rather funny situation. 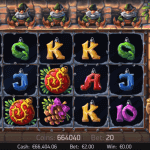 The storyline, graphics and animations are reminiscent of a Disney Pixar film that makes this game even more eggcited to play, for free or as a real money game at one of the many Netent Casinos. Besides an eggcelent gameplay and innovative features, EggOMatic also offers many betting options starting from 0.20 up to 200.00. it’s totally up to you to decide whether you want to play with a low bet or with high bets, adjusted to your budget. You can also start with the lowest bet, and once the winnings start flowing in, you can choose to steadily increase the total bet. This can be easily done thanks to the 10 bet levels and the seven different coins or which the highest coins is worth 1.00, a tad higher than most coin values in regular Netent video slots. Since the EggOMatic has been introduced in the eggfactory, there’s a lot going on in the factory. The factory became rather successful again and you can have the biggest profits of it while playing EggOMatic. The EggOmatic can produce four different type of eggs and all of them can be regularly found onto the conveyor belt during each spin in the main game. Free Spins Eggs, Coin Win Eggs, Spreading Wild Eggs and the mysterious Surprise Egg are being produced in big numbers by the EggOMatic. And every time an egg appears, on the conveyor belt above a Wild Rooster symbol, it falls down after which it’s cracked open by the Rooster, revealing the prize contained inside. 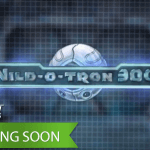 The Wild symbol can’t be ignored by the creators of another perfect Netent video slot and so it can also be found in EggOMatic substituting for every other symbol in the game. Spreading Wilds are activated when the Spreading Wild Egg drops onto a regular Wild symbol, which appears on the reel, substituting for all symbols except for regular Wild symbols, while turning all adjacent and diagonal symbols into additional Wild symbols. If there is one egg to look forward too, it’s definitely the Free Spins Egg. 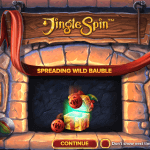 The moment this one is cracked open, you will be awarded with a randomly awarded certain amount of Free Spins. You can either win 7, 10,12, 15, 20,25, 30 or the eggciting amount of 50(!) Free Spins, with is eggceptional for a video slot game. Even more exceptional is the chance to win even more Free Spins during Free Spins. Are you still with me? Because during Free Spins a random egg will be pumped out on the conveyor belt with each free spin, giving you a chance to win even more eggciting Free Spins, perfect for eggstra high winnings. If a Wild symbol, Spreading Wild and up top 50 Free Spins isn’t enough for you, then maybe the Coin Win Eggs and Surprise Eggs will bring you satisfaction, making EggOMatic an eggceptional video slot that you must try, because if you ever saw a Pixar film, and you liked it, the chance you’ll like EggOMatic is quite big since the quality graphics used in EggOMatic can be compared with the type of animations. You see, I’m always eggspecting a lot from Net Entertainment’s video slots, but this video slot even went beyond my eggspectations. It’s almost like this game is based on an existing film, but it’s not. This games is set against a backdrop of an automated chicken coop where eggs are created by a metallic EggOMatic machine, originally designed by the designer of Net Entertainment. And while you enjoy the cutting edge design, all the different eggs will trigger either coin wins, Spreading Wilds, Free Spins, or even a Surprise Egg. This original gameplay and a mesmerising design, makes EggOMatic another perfect addition to the Platinum range, also including Jack and the Beanstalk, Boom Brothers, Elements: The Awakenings, Scarface and Robin Hood: Shifting Riches.